The Ocean Park Conservation Foundation was established in 1993 by Ocean Park Corporation.. Now is a registered charitable trust. The Foundation's mission is to "take a leadership role in education and conservation activities involving dolphins and whales and their habitats in East and Southeast Asia". The five-year Foundation action plan encompasses 16 specific projects, including four with the Yangtze River dolphin, or baiji - the most endangered dolphin species in the world. 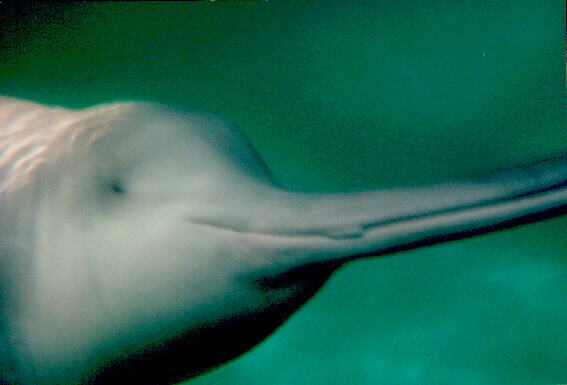 Others involve the Indo-Pacific Humpbacked dolphin or Chinese White dolphins in Hong Kong waters. 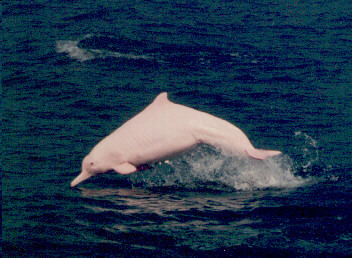 Chinese White Dolphin - the Hong Kong resident dolphin. At present, the Foundation's most urgent environmental project is to help save the seriously endangered Baiji, the rapidly disappearing dolphins of the Yangtze River whose population has dropped from 400 to less than 100 in the past 15 years. You can personally help in the rescue of these unique, intelligent and beautiful creatures and you'll be prominently recognised for your contribution. Join the Ocean Park Conservation Foundation's "Friends of the Ocean" Signature Brick Programme, and your name will be inscribed on one of the annually - renewable bricks that form part of the new Ocean Park Conservation Square - located at the Park's Main Entrance Plaza. Your HK$1,000 or 5,000 contribution to the Signature Brick Programme will also bring you a one-time admission to the Park, a stylish Ocean Park Conservation Foundation pin, a Contributor's Certificate, a free subscription to the Ocean Park Conservation Foundation Newsletter and a Lucky Draw chance to win behind-the-scenes tours of Ocean Park's marine facilities. But most importantly, it will bring the satisfaction of knowing that you, personally, have done something positive to help conserve the Earth's wildlife. Are you aware that only ten signatures i.e. two bricks on our Signature Brick Wall, will buy a medical kit to keep the dolphins healthy.